Wanna party with the Pack? Our great inflatables have all kinds of promotional possibilites while it shows off your team spirit! We have all sorts of green and gold games too! 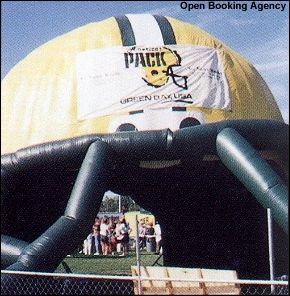 This 18'x18'x18' helmet is featured at all Packer games!